Throughout the last part of this series, we have explored a number of components that are unique to Drupal 8. We looked at plugins and annotations. 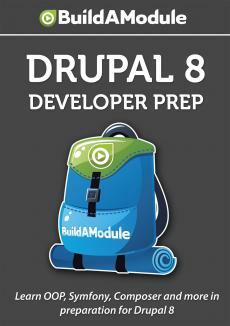 We looked at how the block system works which is very different than the way it works in Drupal 7. We looked at creating forms which is also a different structure than 7. We touched on the state API and the configuration API and how to store configuration for plugins. So we touched on a lot that's unique to Drupal 8. One thing that we haven't touched on though is Twig. So, as you may have heard already, Twig is a templating language. It allows us to create templates that don't require PHP but also allow for powerful manipulation of information within the template itself. Now, the point of a templating language is two-fold. First of all, it's kind of an intermediary between front end developers and back end developers. So in Drupal 7, back end developers could throw whatever they wanted at a template. It didn't have to be variables of a particular structure. They could just throw in a general array and expect a themer to go in there and pull out those items from arrays, which is challenging. When using Twig though, it enforces a particular structure for the variables that you pass into it.